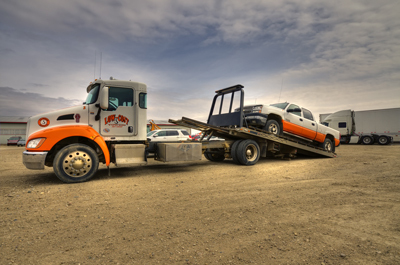 From emergency road service to big rig hauling, Low Cost Towing has you covered. We are available for immediate assistance in Swift Current and surrounding cities in Saskatchewan. You can count on comprehensive services to get you back on the road in no time. Contact us today! If your battery decides to give out on you and you’re on the side of the road, we offer boosting services to jump start your vehicle so you can get to where you need to be. Our compound is completely fenced and has video surveillance to keep your vehicle safe and secure. Our heavy wrecker services and capabilities are available for commercial trucks, trailers and grain trucks. The Low Cost Towing fleet can take on anything. For all your commercial and individual recovery needs, including cargo recovery, we offer recovery and cleanup services to help relieve some of the accident related stress. Low Cost Towing also tows motorhomes! Get in touch with us to learn more.